The evening began with Jack Woodward who, at 90 years old, is the oldest stand-up comedian in the UK. His few short minutes on stage provided a thoroughly heartwarming start to the proceedings. Byrne followed, with a set of observational comedy. His subject matter ran the full gamut of topics, acting as something of a checklist - sexism, sexuality, racism, religion and even animal rights. Yet he came across as a thoroughly nice bloke, managing not to offend anyone despite the precarious subjects. Talk of his newborn son predominated though - clearly a proud father, everything from vomit to "talking to you as a parent" was discussed. As a result, the humour levels ranged from clever political satire to base potty humour - as the name suggests, there really was something for everyone here. 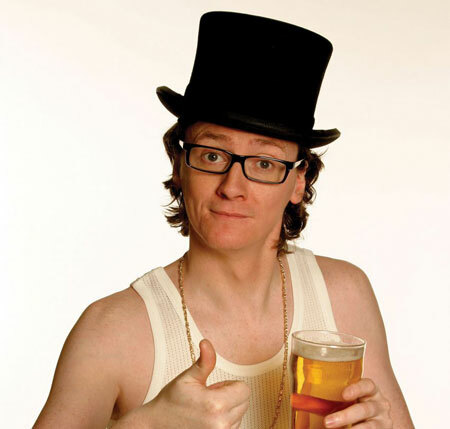 Particularly funny were the early jokes on interplanetary trash talk and nerd ons - has anyone else noticed until now that Ed Byrne is an anogram for "be nerdy"? Each topic was deftly tackled, Byrne flowing from joke to joke with ease. At times, his delivery was a little too fast paced and difficult to follow, though this is equally a criticism of the sound levels and acoustics of the Apollo. What also impressed were Byrne's quick witted responses to audience reactions, improvising with speed and confidence. The night was well structured, the final jokes building to a crescendo that cleverly pieced together elements from the whole set with hilarious results. The night flew by, leaving the audience with fixed grins and aching faces. Hats off.